A Gin Lover’s gift! 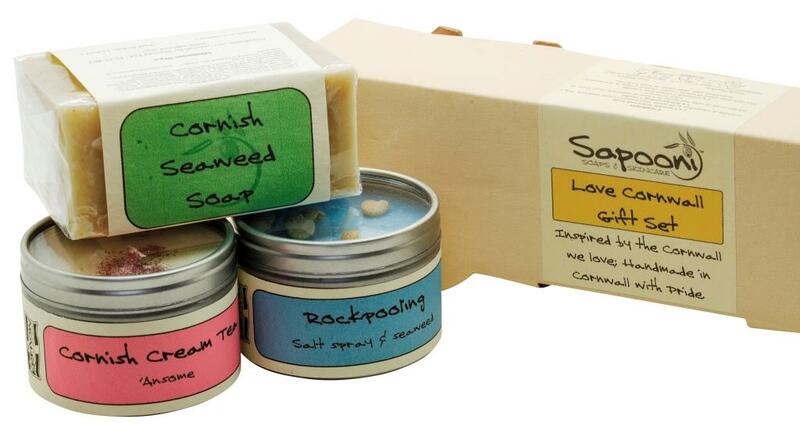 This handy lidded aluminium tin contains three gin-inspired pampering products, all handmade with love and care in our Cornish workshop. 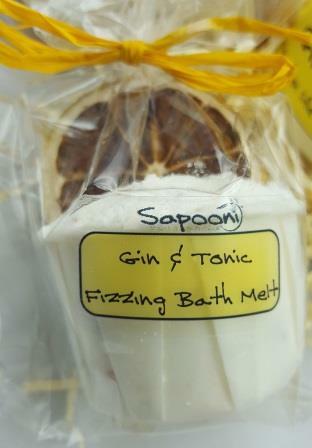 A Limited Edition gift for any discerning Gin Lover! 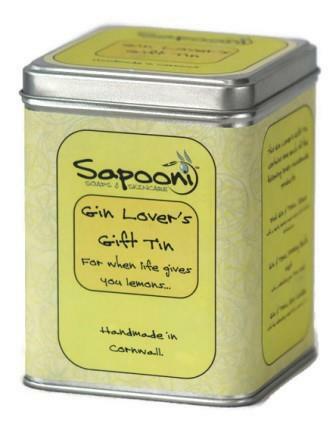 A Gin Lover’s gift tin…This handy lidded aluminium tin contains three gin-inspired products, all handmade with love and care in our Cornish workshop. 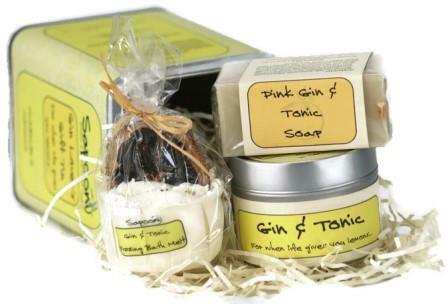 What’s in our Gin Lover’s Gift Tin? 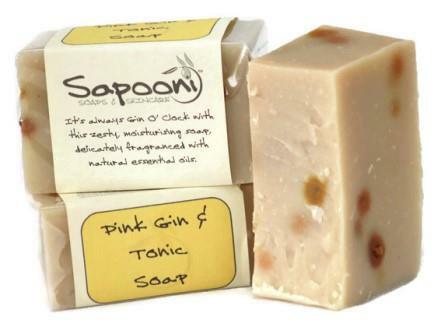 Pink Gin and Tonic Soap; It’s always Gin O’Clock with this lovely gentle soap, with its light, zesty scent of lemons, limes, juniper and a hint of warming botanicals. 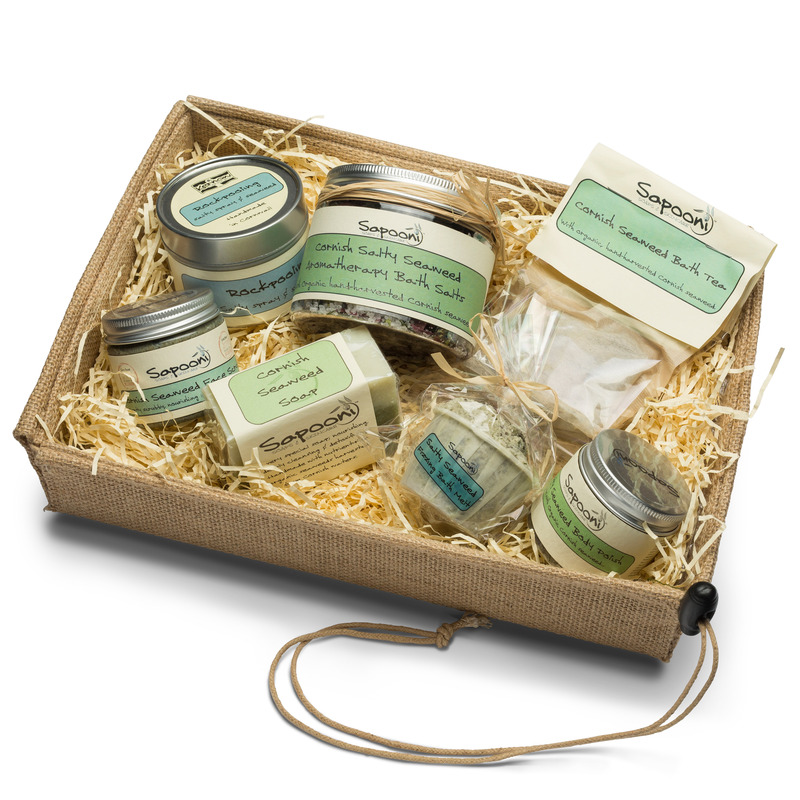 We add oodles of nourishing shea butter to make it really special. Gin and Tonic Fizzing Bath Melt; A water-softening bath bomb, with a luxurious extra ingredient; moisturising cocoa butter, to really soothe and nourish the skin. 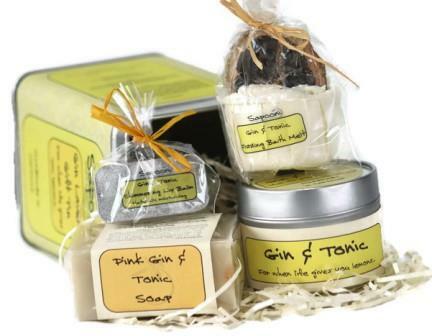 Gin and Tonic Candle; a slow-burning soy wax candle, which will burn for around 25 hours. 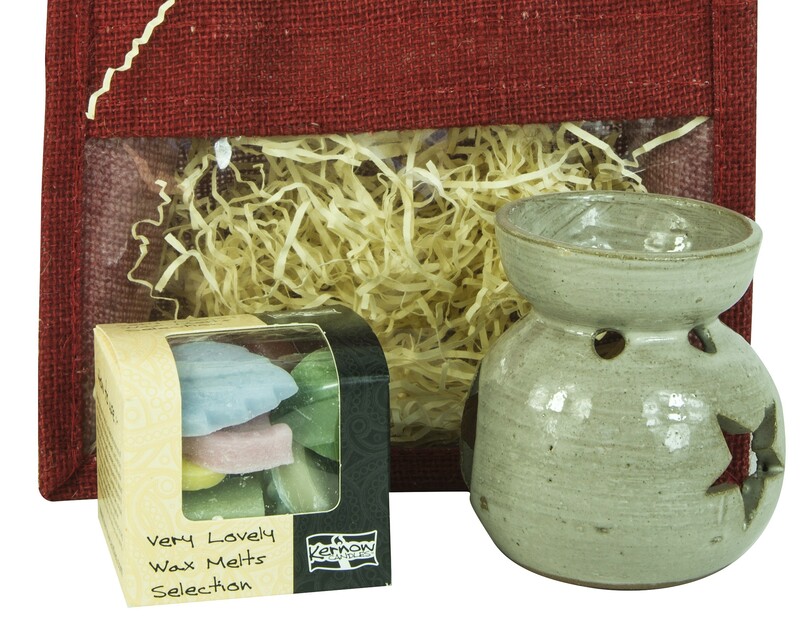 This lemon-coloured candle has an uplifting, lemony scent, with a hint of lime, star anise and juniper. Pink Gin & Tonic Soap; Sodium olivate, Aqua, Sodium cocoate, Sodium beeswaxate, Butyrospermum parkii(shea) butter, Citrus medica limonum (lemon) peel oil and dried peel, Citrus Aurantifolia (Lime) peel oil, Juniperus Communis (juniper) oil, Kaolin, Mel (Cornish honey), Glycerine, Preservative (Phenoxyethanol, Caprylyl glycol), Boswellia Carterii (frankincencse) oil, Illicium verum (star anise) oil, Cinnamomom Zeylanicum (cinnamon leaf) oil. Gin and Tonic Fizzing Bath Melt; Sodium bicarbonate, Citric acid, Theobroma cacao (cocoa) butter, Zea mays (corn) starch, Parfum, Persea gratissima (avocado) oil, Citrus medica limonum (lemon) peel, Citral. 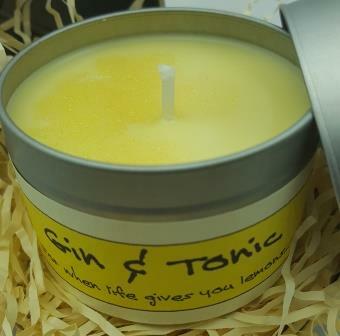 Gin & Tonic Candle; Soy wax, Parfum, Citral, Cotton braided wick. 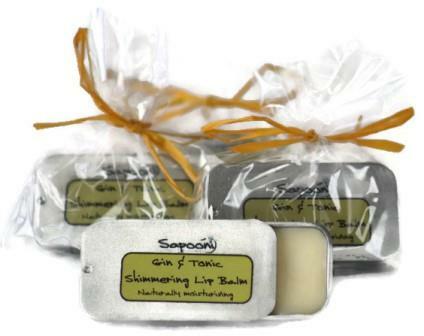 Gin & Tonic Lip Balm; Mangifera indica (mango butter) seed oil, Cera alba (beeswax), Persea gratissima (avocado) oil, Prunus dulcis (almond) oil, Tocopherol (vitamin E), Flavour, Mica, colour (ci77019, ci77891, ci77491), Titanium oxide. Contains Limonene, Citral, Geraniol. Contains nut oils.